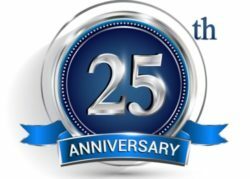 Mites | Pest Control Omaha - Exterminator | Omaha Pest Control, Inc.
Omaha Pest Control has many years of experience controlling these pests. Mites are a very common pest in the Omaha, Nebraska Metro and its surrounding cities such as Bellevue and Council Bluffs, Iowa. Mites are not insects; they are more closely related to ticks and spiders. Mites are among the most diverse and successful of all of the invertebrate groups. They have exploited an incredible array of habitats, and because of their small size (most are microscopic) go largely unnoticed. Many live freely in the soil or water, but there are also a large number of species that live as parasites on plants, animals, and some feed on mold. It is estimated that over 48,000 species of mites have been described. 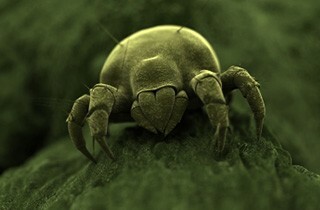 Most mites are visible to the unaided eye and usually measure 1/8” or less in length. Their life cycle has four basic stages: egg, larva, nymph, and adult. The egg hatches into a larval stage, which molts to the nymphal stage. After 1-2 times, the nymph matures into an adult. Mites, like ticks, have three pairs of legs as larvae and four pairs of legs as nymphs and adults. On a world-wide basis, mites are important nuisance pests and some are capable of transmitting disease agents. Fortunately, the mites that we commonly encounter in the Midwest do not transmit disease agents that affect people. Most of these are external parasites, but some species inhabit the ear canals, lungs, intestine and bladder of vertebrates, particularly domestic animals. Their biting and bloodsucking behavior causes considerable discomfort to and a few species also cause serious allergic reactions, such as asthma, in people. How Do You Get Rid Of Mites? Omaha Pest Control has standard pricing for all our pest control services, based on the size of the home and materials used. Free Estimates are provided. Call Omaha Pest Control at (402) 250-0425.